I bought the shade in PK007, it’s a golden peach shade rather peach pink. It’s gorgeous, perfect for both summer and fall. Love it! I got the colour PK007 Peach Pink, it is a lot better than I expected. It is a gold-ish pink/coral colour rather than peach pink but I LOVE this colour. I have been using it in my daily makeup for school every day! I purchased the shade PK007 Peach pink, it’s such a pretty gold pink shade! 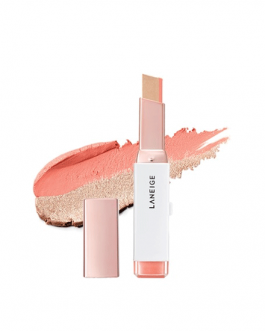 I’m impressed with the pigmentation and lasting qualities of this product, this shade is perfect for everyday makeup! I got the shade OR211 Free Love. It is a peachy colour with a lot of shimmer in it. Absolutely gorgeous and suitable for a cute everyday look! OR210 Trench. It’s a pink colour with gold shimmer in it. Kind of similar to PK007 but more of a pink colour than a coral. Love it! good pigmentation for this price. I might get it in other colors later. Super pigmented and the colors are so nice! I bought five shades, but my favorite is BE105 Acoustic Guitar. It’s a really pretty warm shimmery golden brown shade, perfect as a year round shadow! There are not very strong pigmented but there look light ang beautiful on my eye lid. Love the colors. I got another one called shy you. it wasn’t exactly like the color shown in the picture. In real life it was much darker. I got RD302 and the eyeshadow is smooth and pigmented. Great for its price! 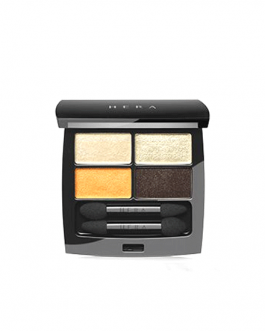 I have the shade sepia brown – super buttery and great pigmentation. A must have!! I purchased PP507 Butterfly Purple. Honestly, this purple is so pretty with opal undertones! Definitely reccomend this! I purchased and own almost all the shades! I love etude house formula so much, they are so great for the price that you pay. they have a wide range of color selection! I love all the shades I purchased. they blend well and also last a long time. I don’t notice creasing or anything. they also don’t irritate my eyes and very easy to apply. I highly recommend this to anyone even to beginner. all of the one I own are very smooth and pigmented. I love it so much!! I purchased the shade BR413 Amateur Barista and the color was more shimmery than I expected. The pigmentation is really great and the shadow doesn’t crease throughout the day even without primer. I really enjoy using Etude House’s eye shadows. They are quite pigmented and wear well throughout the day. They do kick up a bit of powder when using them, but for the super affordable price point they can’t be beat. I will definitely be purchasing more! Purchased Burning Aurora and i love the shade! The pigment is lovely and last throughout the day. I bought RD303 colour alongside with OR204 and I really fell in love with the colour and generous amount of pigment that it holds. I live in Finland where I tend to spend double (or triple) price on eye shadows that have less pigmentation and less color choices! Blends beautifully with both brush and fingertips. I will definitely buy more Etude eye shadows in the future, because they have a very good quality considering the price. I bought the shade BR413 and I really like it, it is quite pigmented and it doesn’t crease throughout the day. I bought the shade PP507 and it is beautiful, it’s really pigmented and the colour and sparkles are really pretty. I got two of these eye shadows, in the colour Peach Pink and Wine Burgundy. They are beautiful shades, really well pigmented, especially considering the price. The only thing I would mention is that the shade Peach Pink looks different to the photo. In reality it’s a strong gold colour, not a light peach like it looks. Wine Burgundy looks the exact same as the picture though, so I wouldn’t let that put you off, I think it’s just that one shade. Over all these are great eye shadows and I will definatly be buying more from the ‘Look at My Eyes’ range! I have this eyeshadow in the shade Trench. Although it is a beautiful colour, the eyeshadow is not very pigmented. However, I adore the packaging and there is a wide colour range. BR417 Sepia Mint is a cool-toned chocolate brown color with delicate mint and opal glitter. Beautiful color. It goes very well with a burgundy lipstick. Got this in GR706, a nice sparkle green I’ve been looking for. I have vintage sensitivity and the shimmer is beautiful, but theres not much pigmentation when used with a brush! I got the color Vintage Sensitivity. 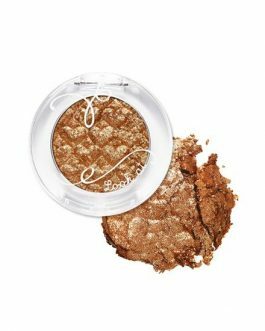 It’s very sparkly and it actually has a lot of gold sparkles so is different compare to the other brown sparkly eye shadow. Definitely a good one to try. I purchased the shades Wine Burgundy and Butterfly Purple. The pigmentation for wine burgundy is very vibrant but butterfly purple is a bit less vibrant. Wine burgundy is a matte, deep true burgundy shade and is really pretty for fall looks. Both eye shadows had a buttery, smooth texture but there is a bit of fallout. I bought the PK007, Peach Pink color, this color was a bit took like for my skin to the point I though it have no color at all on my eyes. 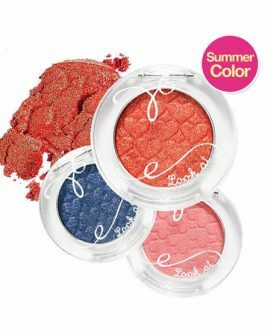 However, this eyeshadow would look great as a extra shimmer or glitter with other eyeshadows. If only using this shadow alone people would barely notice you have any eyeshadow on, making it a really good natural look shadow. I got the shade RD302 wine burgundy- and its super pigmented, would look really great in the fall! Both are very pigmented and true to shade in the pot. Easy to apply with brushes and fingers. Blends easily. Very little fallout. PK007: Golden peach, very versatile and neutral enough to wear alone. Fades even with primer after 6 hours of wear on oily skin. Looks beautiful blended with pinks/oranges/warm bronzes. RD302: Beautiful shimmery wine color. Looks stunning on the lower lash line and emphasizes brown eyes in photos. Looks a lot more wearable than you would think once blended out to brown shadows. I got BR407 and it is very pigmented and nice. It makes your eyes look bigger and nicer! I bought Color: BE105 Acoustic Guitar and it’s super beautiful. It’s a nice, brown, warm color and it’s flattering for anyone. Highly recommended, esp for the price! I bought the Color: BR408 Last Leaf and it’s super great. it’s highly pigmented and all of the glitter stays on without scattering around. It’s a dark, nice brown color. I got the Color: BR409 Vintage Sensitivity and I love it! It has less glitter than I thought, which I like because it doesn’t get all over my face. good for everyday wear and as a highlight! Purchased the very popular PK007 Peach Pink and this color is perfect for spring/summer. 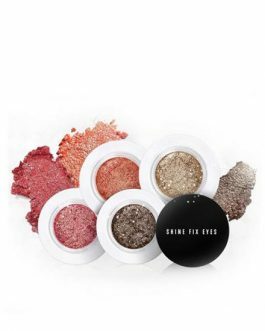 You can use it alone to bring some very natural glitters to your eyelids or on the top of another eyeshadow to pop up the colors. I also use it on my eyebags for a cuter look. Concerning the color, like everyone said, it’s more a golden peach than a pink peach but still a very pretty color. I purchased PK004 Finish a Marathon after trying another eyeshadow from Etude House’s Cafe line, and I love it! 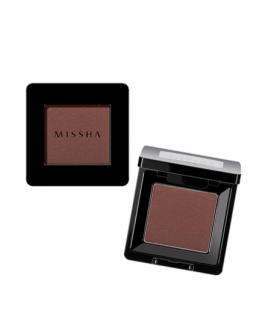 It’s a rosy brown color with shimmer that looks really beautiful on the eyelids. The pigmentation and staying power of Etude House eyeshadows are great. And for the price, these are seriously awesome! I bought the color BR409 Vintage Sensitivity, witch is a warm shimmery brown. It is a very beautiful color, very similar to the displayed picture. 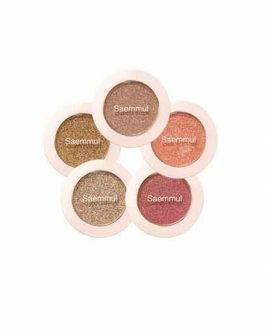 This one in particular seem to be a little less pigmented than the others Etude House eyeshadows, but it is still very pretty and versatile to create different eyelids with! I bought this in #RD303, and I loooove the colour and formula! The colour swatch on the internet is exactly what it looks like in real life. It is a very bright pink-red, and I think it almost comes off a reddish colour in real life. Other than that, the formula is incredibly pigmented so a little goes a long way. It also blends in well. I bought Eskimo Red and Last Leaf. For some reason I got Eskimo Red and Wine Maple. 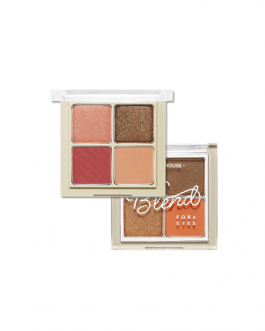 However, both of the eyeshadows are really smooth and highly pigmented. I’m pretty impressed with the quality I got. The price is a bargain. Highly recommend. I got my shadow in the BR417 – Sepia Mint and I think its beautiful. Even though at first glance its a shimmery brown, if it hits the light, it has little mint reflects of a shiny mint, although not too noticeable. Its great as a base, transition, or gradation color. I got the color br408 last leaf. It’s a pretty shimmery warm brown. I recently got rid of old makeup and was looking to replace some of the colors I had in some of my most used palettes which are usually warm colors. It’s not something I haven’t seen before but I like it and use it a lot nonetheless. 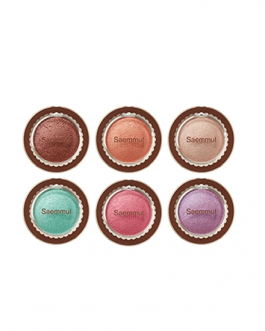 I bought this eyeshadow in colors Vintage Sensitivitiy and Sepia Mint. I’d have to say Sepia Mint is my favorite shadow of all time! It has a unique green glitter touch to the brown color and is perfect for shading the outer v of ANY makeup. I use it everyday and never got tired of it! I got the Peach pink one and it’s so pretty ! I use it to highlight my inner corner and it looks a lot more lovely than having white eyeshadow//eyeliner on it in my opinion. Love it ! I got RD302 wine burgundy, and pigmented and perfect for fall! I bought peach pink and sepia mint. The sepia mint is good as an eye lining color. It feels soft and is quite pigmented. On the other hand, I’ve been told in the reviews that the peach pink is suppose to swatch a golden pinkish color, but on my skin, it’s just gold, there’s no pink which I was quite disappointed about. Peach pink is also not as pigmented as sepia mint. It’s a pretty wine red, exactly as in the picture, with tiny shimmers. The colour pay-off and lasting is good, so I’m really impressed with the product! I use it as a point colour in my crease or lashline with another neutral colour and eyeliner. GR706 is a nice ashy green colour. The colour can look different depending on the lighting though. I bought Sepia Mint, and it’s such a pretty glittery color! Perfect for everyday use! Also purchased Peach Pink, Trench, Vintage Sensitivity, and Acoustic Guitar. They’re all very pretty in the pan, but the packaging is a bit different from the pictures. I bought the colors RD303 Strawberry Buffet and PP505 Purple Brown, and I love both of them so much!! Strawberry buffet is such a pretty pinky red that works well as both an accent color and a focal point, and purple brown is just such a pretty subtle shimmer color. Etude House is so good when it comes to pigmentation for a brand that sells their shadows so inexpensively! I got the colour acoustic guitar and it is beautiful! It seems to be more pigmented than trench. These eyeshadows are so soft and smooth, definitely worth the money! I got the color OR210 Trench, as I was looking for some dupe color for the Anastasia Berverly Hills Modern Renaissance Palette. I am very pleased with the color and quality of these shadows, they are my favorite discovery! I got shade RD302, Burgundy, and I love it. It is very pigmented, and buildable. Great product! Really great pigments! Stays on all day and great for blending! i’ve purchase be105 (acoustic guitar) which i heard is a dupe for mac’s honeylust. although the color is very pretty, this eyeshadow has much more fallouts than i had anticipated. Purchased “Hippie Chic PInk” after loving another shade that I got from this collection. It’s a very warm toned brown that has some plum color to it too with red shimmer running through. It’s a beautiful color, but not particularly pigmented. The shimmers aren’t that noticeable once blended. I bought BE105 Acoustic Guitar, and the pigmentation is really great! 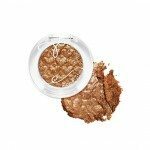 It glides on very easily on my lids, and blends very well. Vintage Sensitivity is a beautiful warm brown color! It has glitters in it but not too much and thus this is great to darken the outer corner of the eyelid! 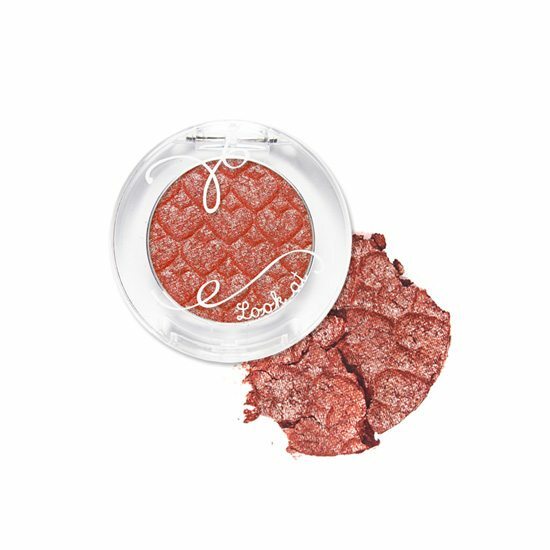 This is not very pigmented but the color is buildable and it looks natural, I love it! I bought Last Leaf which is a shimmery reddish brown color. It’s not my favorite Etude House eyeshadow but i’m still impressed by the quality as usual and it’s very pretty! I purchased the shade acoustic guitar, because I heard it was a dupe for MAC’s honeylust. It’s a very pretty shade, and full if shimmers and glitters. It’s a beigey shade, and really great to put under eyes too. Highly recommended! Along with the acoustic guitar color, I bought the trench color too. It’s a shimery rosy orange brown color, really pretty to use on its own. I’ve received a lot of compliments from it, and the only downside I guess is the lasting power. But other than that, highly recommended!! It is a really nice colour for F/W. However, im not sure if its only me but the consistency of my eyeshadow was really weird. it was hard to pick up product and the product seemed to have to much moisture, so it probably works better using your fingers. I bought the shade PP505 Purple Brown, and it’s absolutely gorgeous. It’s a dark burgundy colour with fine sparkles. I’m really impressed by this shadow, it’s definitely a steal for this price. I got the RD303 shade and it’s lovely! The color is not overly pigmented because it’s a vibrant color itself. Love Etude’s eyeshadows! Ordered Peach Pink. Matte finish. Had a difficult time picking up the product with a shadow brush. Very pigmented if using finger. I just can’t stop buying Etude House’s eye shadows. I got BE105 this time. I use it as a base colour, beautiful shimmering pigment. Almost can go with any makeups. i bought peach pink. the color is very light color and very shimmery. so put on my eyes, it looks very soft and light. not the strong color. but still pretty. i love etude eye shadow. cheap and worthy. Perfect pigment, travel friendly, and gentle on the skin! I purchased PK007 Peach Pink and its perfect to apply on the lower lid! The colour is so pretty! Nothing to complain about! Got this in shade PK007, which is a pretty rose gold shimmery color! Really pleased with this eyeshadow. As someone who has no makeup experience or skills, this was a good start :^) Very soft and natural looking. Will be coming back to pick some more nice soft colors. Got the shade RD305 Aurora Apricot, and I have to say: this is the most mesmerizing colors I have ever seen! It looks orange but also has a metallic sheen to it. It’s so lovely! Got shade OR210 Trench. It’s a shimmery orange color, swatches into a sort of orangey-pink color with gold and purple shimmer. My best description would be.. it’s a magical, fantasy color when in the light. I got the Rd302 Wine Burgendy. Love it. It’s smooth and the color is beautiful. The shade peach is soo perfect for a daily natural eyelook! Pigmentation is amazing too, especially for less than $3. Would defintely recommend this range!! I bought this in PK007 Peach Pink PP506 Eskimo Red. The Peach Pink is just perfect for adding a bit of pop to your eye. I use it on the center of my lid to add some depth. Eskimo Red is a nice deep colour to add a bit of smokeyness and sparkle to your shadow. Great pigments and goes on smoothly. Highly recommend! I got PK007 peach pink. I looks very nice now in summer and I can see it will look great in autumn as well. The glitter is very fine and it makes my eyes pop in a subtle way. I got PK007, it’s a lovely shade but not my favorite, im not sure if it suits me. Really pigmented! Acoustic Guitar has just beige-gold shimmers, didn’t have the beige color I wanted. Sepia mint was very unique, loved it. These shimmers work great with fingers, less so with a brush. I bought Peach Pink. At first impression, the packaging is so luxurious. The plastic is heavy and almost feels like glass. The shade is slightly different than depicted. Overall it is a really pretty color and i like it. It is pretty pigmented, not too much, not too little. BR48 Last Leaf is so pretty! A perfect colour for autumn! I love how sparkly and pigmented they are. A must have! I got the Aurora Apricot. This color is soooo amazing shimmery magical color. Very pigmented love the color range! Need more colors now. the single glitter shadows are super gorgeous!! sometimes i swatch the just to look at the glitter, haha. the price is very very worth it for the product quality! I bought it in wine burgundy and trench and holy god are these pigmented and smooth and beautiful!!! They last my entire 12 hour shifts at work and stay BEAUTIFUL which my too faced palettes can’t even achieve. I bought shadow in shade Peachy Pink and its really pretty shimmery shade.Love it! I got shade RD305 and it’s beautiful! The color is exacly the same as the picture of the container, however the shade in the model’s eye is a bit off from the actual product. It’s very pigmented and shimmery. It has a warm undertone and doesn’t look weird at all. I love it! I got this in the color burgundy wine, and I love it! 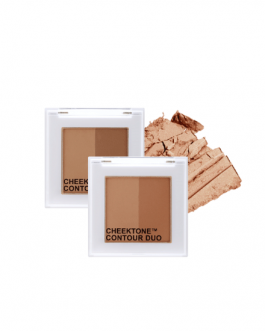 The shadow is very pigmented and easy to apply/spread. It is great for wine/burgundy makeup looks. PK007 Peach Pink: Others have said it’s a peachy gold shade. Let me just say it’s pretty much straight up light gold, maybe a hint of pink but I don’t see it. However, it is so beautiful and finely milled. Best product ever for lid, inner corner, or aegyo-sal highlight, really makes you look young and fresh-faced. 12/10!!!! I usually like Etude House eyeshadow, but this time around I’m giving it only 2 stars because the color is not what it appears in the picture, the name is Peach Pink but it is not peachy nor pink, it looks more like bronze, which is nice and all (not really, it’s not much pigmented, actually) but not what I was looking for because I have a millionj eyeshadows like this one already. I got Aurora Apricot and Peach Pink. The colors are really pretty for everyday wear. 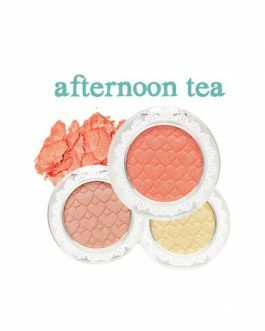 I love the Etude House shadow formula because they blend out so nicely to give a light wash of color to your eyes., I definitely recommend!